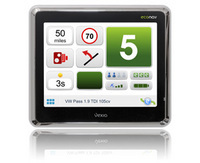 For those concerned with raising fuel prices the Econav is more than just a satnav system. The Econav takes into account the type of car you have and the number of passengers and plots routes which are the most fuel effective. Take a full car of passengers through some twisty country lanes might well be shorter but is it more fuel economical than taking the motorway. The Econav lets you know. The manufactures say that it can save you over £200 in six months which is more than the cost of the unit! You can find out more here and here and you can get hold of one from Amazon.co.uk. If you have a sports car then you might want to make sure you look the part while driving. How about a part of Bluetooth sunglasses? 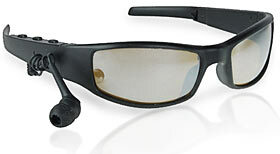 These great looking sunglasses not only keep the sun out of your eye but they will also keep you connected while you are on the go, but without the cyborg looking earpiece. The lenses of the glasses have a smoke mirrored finish and the volume control and call answer buttons are cleverly located on the arm-piece. It is compatible with all standard Bluetooth equipped phones and it will give you a talk time of 3.5 hours and standby time of 90 hours. You can get them for $49 (about £30) from ThinkGeek. 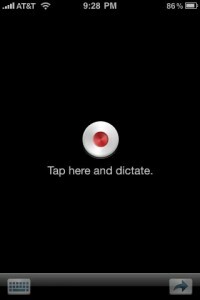 Finally for the all the iPhone users, there is now hands-free dictation available in the form of the Dragon Dictation. With Dragon Dictation voice recognition application you can dictate your text and email messages directly to your phone. Although it isn’t completely hands-free as you still need to actually send the text message or email, but I am sure that you could do that while at the next traffic lights! Nuance, the makers of the Dragon NaturallySpeaking software which is used in the Dragon Dictate app, say that it is up to five times faster than typing on the keyboard! Note: At the time of writing it is only available in the US store but we are hoping it will become available in the UK in the future.